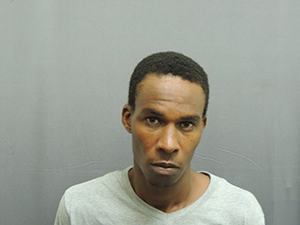 NIA CHARLESTOWN NEVIS (September 30, 2014) –The Royal St. Christopher and Nevis Police Force, Nevis Division has arrested and charged 30-year-old Travis Clarke alias “Shaggy” of Newcastle for armed robbery. Clarke was taken before Your Honour Yasmin Clarke at the District “C” Magistrate Court in Charlestown on September 30, 2014, and requested bail. The bail hearing was set for October 01, 2014. The offence Clarke was alleged to have been involved in took place on Saturday September 20, 2014, at Newcastle. He was armed with a firearm and robbed an undisclosed sum of money from a TDC drinks delivery truck sometime after 2 p.m. Superintendent Hilroy Brandy thanked the general public for their cooperation in fighting crime. “In recent times we have seen a renewed effort by the public to assist the police in crime fighting on Nevis. I want to encourage the general public, if they see anything [they should] say something. “Don’t wait until you have become a victim to be a witness. Continue to support your local police in crime fighting,” he said.